As a school we are very proud of our student's behaviour, but it's even nicer to have feedback on it from others. 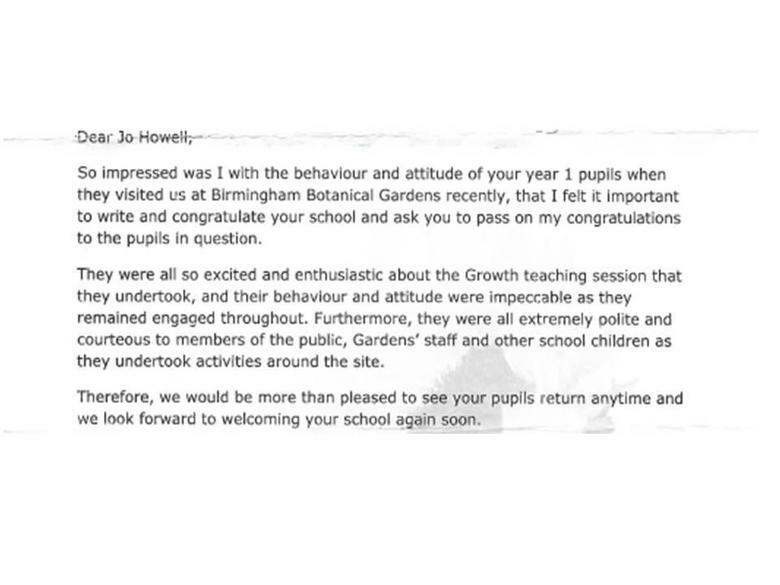 Year 1 recently went on a lovely trip to The Birmingham Botanical Gardens and we have received a wonderful letter praising how beautifully they behaved on the day. Please see below for an excerpt from the letter. We are very proud of them! Well done Year 1.